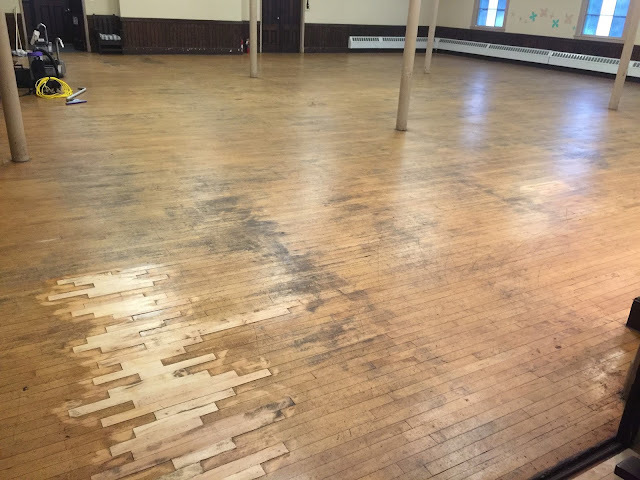 SBMC took on a hardwood floor sanding and refinishing work recently at a local church. This project was satisfying for couple of reasons. 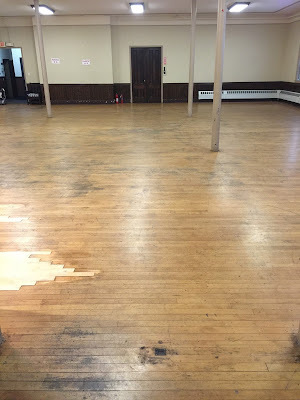 Like any other hardwood floor refinishing job, the floor was in pretty bad shape. 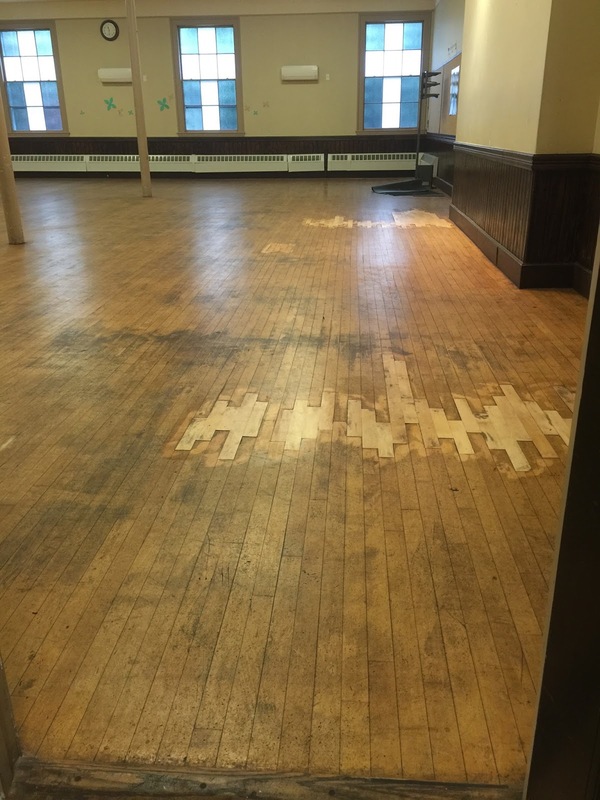 It had scratches and stains all over the place. The floor had not been properly maintained for a long time. Moreover, the project had a quick deadline. So, we had to get the job done quickly but properly. This is where it got challenging. 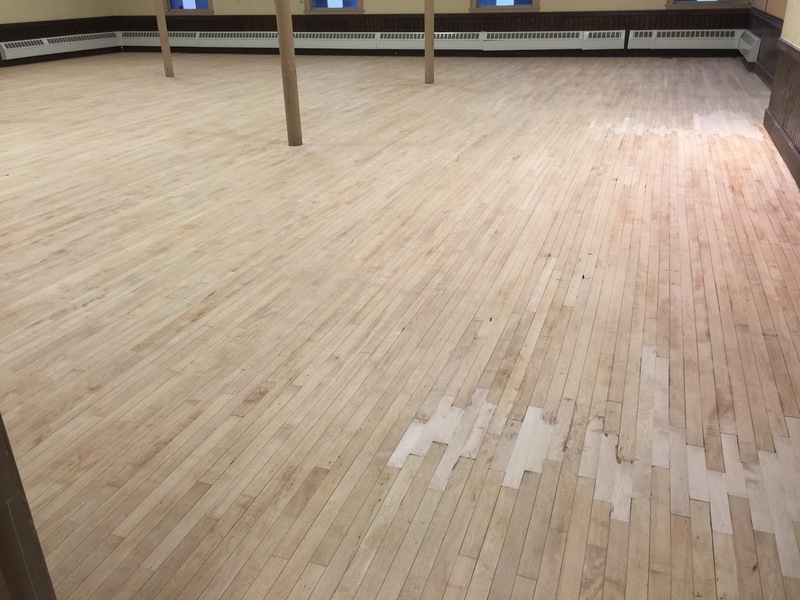 The floor had oil-based finish. 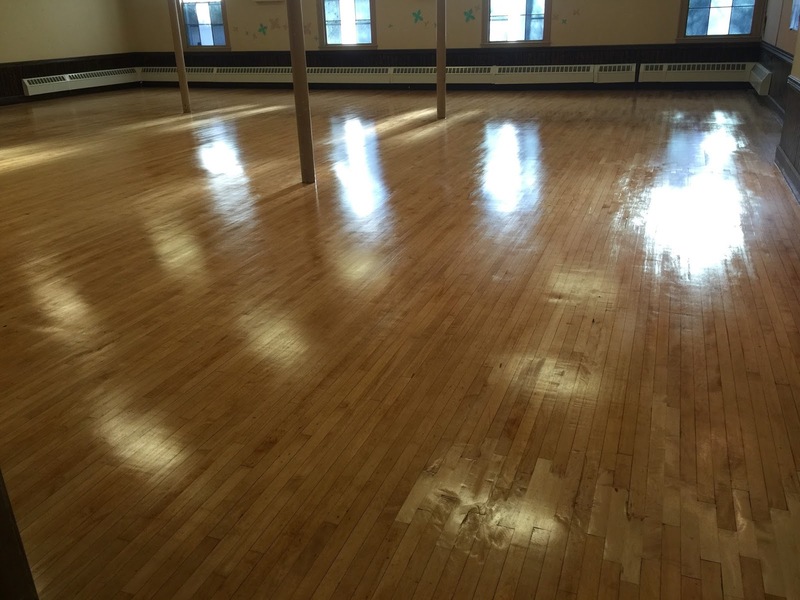 In order to save time, we decided to go with water-based polyurethane finish. 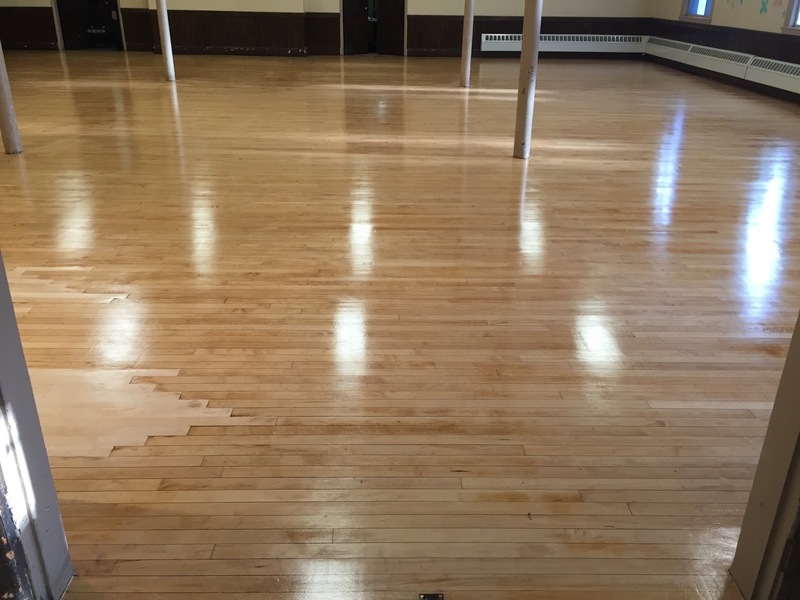 Water-based polyurethane finish dries fast so it allows multiple coatings within a short of amount time. 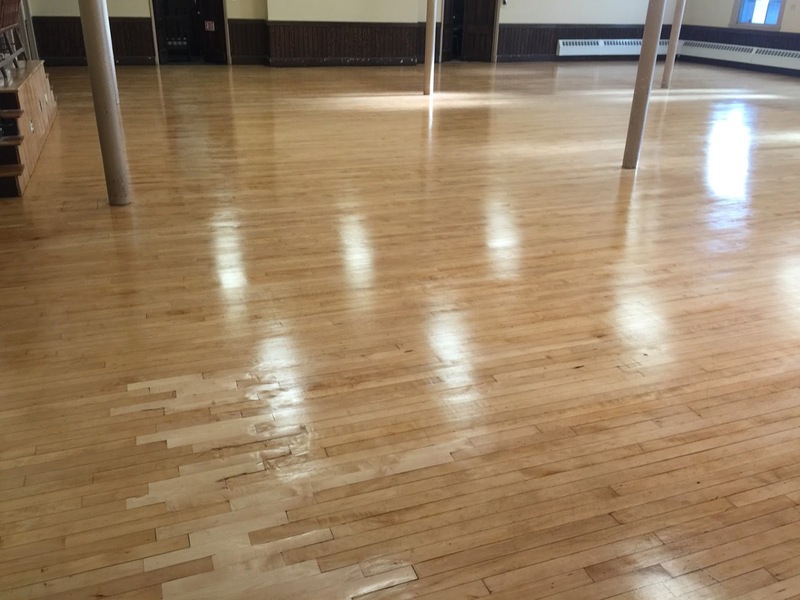 Another good thing about water-based polyurethane finish is it does not stink as much as oil-based polyurethane finish. 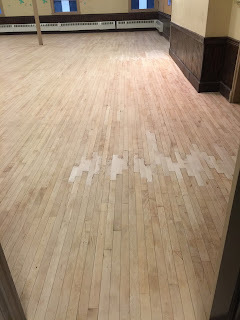 we had to sand the floor thoroughly to a bare minimum. 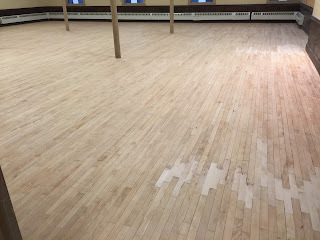 We sanded using three different grits (36, 60, 100). Filled in any holes/gaps that needed to be covered. (Quick note, you are not supposed to apply water-based finish on oil-based finish and vice versa). 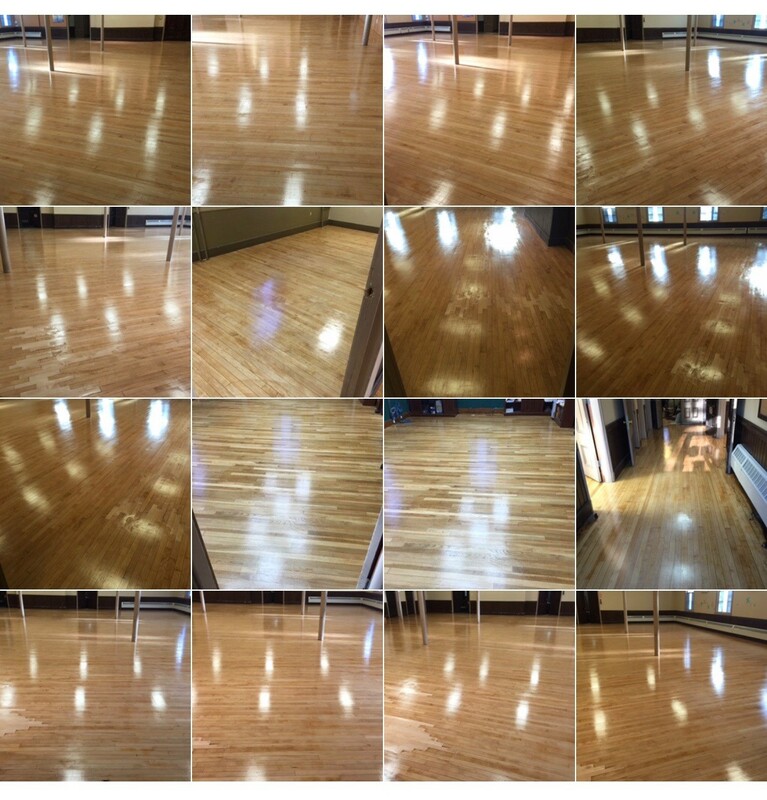 we finally applied several coats of water-based polyurethane finish to the floor. It came out really nice. Our client was more than thrilled and most importantly, satisfied. 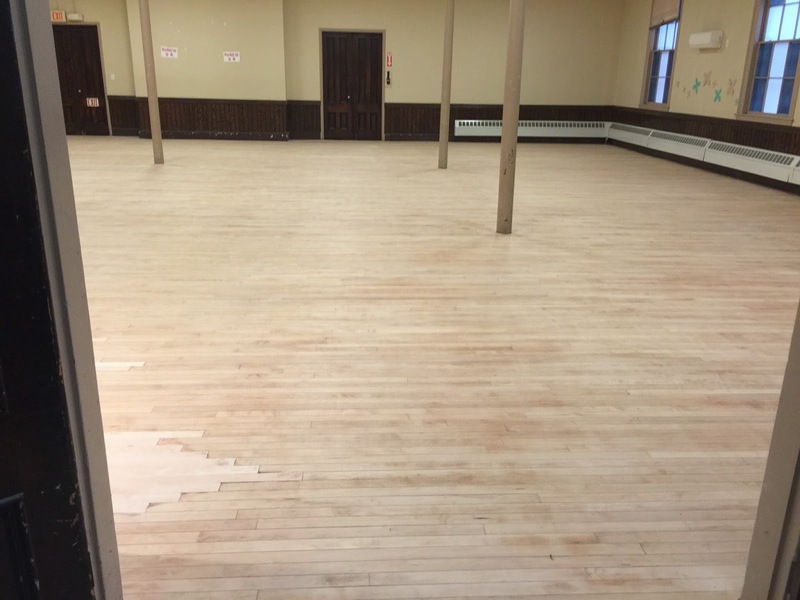 It came out so nice they didn’t want to mess up on the floor by stepping on it.